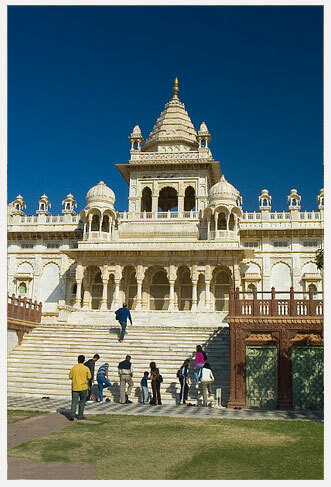 Jodhpur, the sun city is the second largest city of Rajasthan. It is also know as the blue city, due the lovely houses painted with blue colour. Sun can be seen here in every season so it is also called Sun city. The city is divided into two parts the old city & the new city. Old city is worth visiting due the old Rajasthani have lies, mansion, temples and markets, it is covered by 10km long wall. The new city has markets, restaurants, multiplexes. Jodhpur is a perfect holiday destination because it so much to offer like forts, palaces, monuments, temples, parks & gardens, restaurants and bars etc. The city is also world famous for its wooden handicrafts, so make sure that you must shop around and get a best deal. Jodhpur was founded in 1459 by Rao Jodha, a Rajput chief belonging to the Rathore clan. Rao Jodha succeeded in conquering the surrounding territory and thus founded a state which came to be known as Marwar.